Our hens are fed a USDA certified organic feed without soy added. Which means that we know what is in the feed, all the ingredients are certified organic and there is no filler or plastic pellets (yes it does exist). The feed is made of real grains not some pelletize form of you don’t know what. Our hens roam freely, that is called pastured (not to be mixed with free range), all day long. They scratch for greens and bugs and just have fun being hens. At night they are cooped mainly to keep them safe from every foxes, coyotes and other predators that I am sure is waiting for a free diner at every corner of the property. Their coops are equipped with nesting boxes where they lay their eggs. We move their coops around to make sure they get new and fresh pasture. Our hens have never been medicated. We do not give preventive medicine (and yes most bag of feed out there has some kind of antibiotic included). We keep their coops super clean and between the fun outdoor activities and the good food they just keep healthy. We also have a strict bio security system in place. 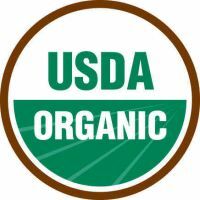 We are USDA certified organic. If you want to try REAL eggs and just taste and feel the difference we HAVE THEM and you know we do not cut corner to produce the very best. We sell our eggs by the dozen at $7/dozen.